If you have missed my last few posts, Glossybox is a sample beauty box that delivers 5 luxury beauty products that include niche, high-end and emerging brands to your doorstep monthly. I remembered to take a picture of the pretty packaging this time! Keep in mind that this box is LARGE. It isn't tiny like my other sample boxes. 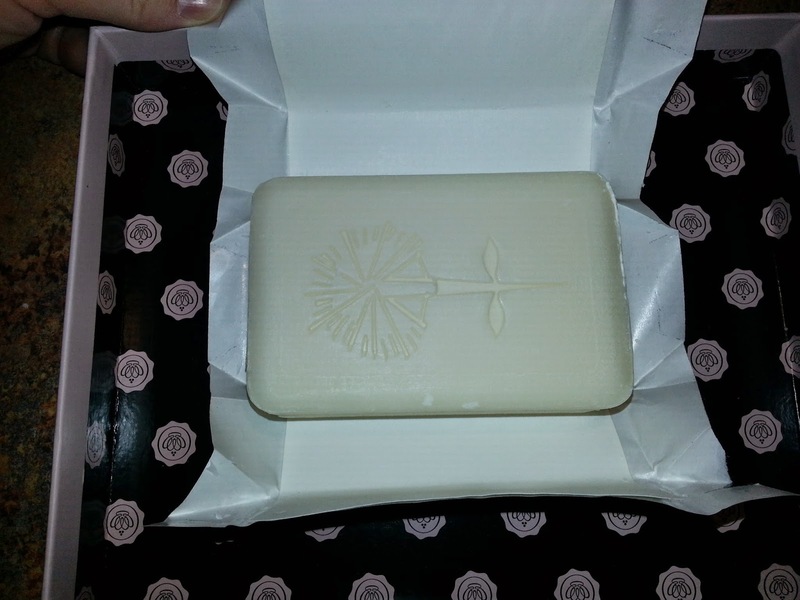 *Alex and Ani Scent 7 Soap Bar (FULL SIZE $14) – I LOVE this soap bar. My entire Glossybox smelled amazing when I opened it because of this soap. It is funny because my Husband was standing beside me as I opened the box. He said “Eww…that stinks”. I told him I loved it. The following day when he was in the shower I smelled the soap. I peeked in and he was using it. I called him out on it and he said “I like it”. A few days later he asked me how much this soap cost. When I told him he about had a heart attack (we have never paid $14 for a bar of soap). He then said “Well maybe we can buy another one and just not use it. It makes the bathroom smell so nice.” Needless to say, this soap was a grand slam in our household (yes, I am happy baseball is back!). *Alterna Haircare Bamboo Volume Plumping Strand Expand ($22 for 4oz, 0.85oz= $4.68) – I have mentioned this so many times on this blog…I adore anything Alterna. This product was no different. It definitely added volume to my hair without making it feel gross or weighed down. It also makes my hair smell amazing (all Alterna products do). Loved it! *Estre Belle Cosmetics Liplift Peel (FULL SIZE $17.80) – This product is really neat. It is an extremely gentle lip exfoliator. You massage it onto your lips for about a minute and then rinse it off. I really needed this product earlier in the year when it was cooler out. Even though I live in Florida, my lips get extremely dry and cracked. You can feel the tiny exfoliating beads when you are messaging it into your lips. I love this product too! *Nails INC Brook Street Nail Polish ($9.50 for 0.33oz, 0.13oz= $3.74) – This was the only product that I didn’t love in this box. It isn’t the company or the nail polish itself…it is the color. I am not a fan of bright pink nail polish. I am pale and I just don’t think that it looks good on me. I will be passing this on to one of my younger cousins. *Sisley Paris Black Rose Cream Mask ($158.00 for 2.1oz, 0.38oz= $28.59) – I have been hearing SO much about Black Rose recently. It is supposed to be amazing for your skin. I am also always happy to get anything Sisley Paris because it is a brand that I can’t afford that I admire. It was weird for me having a “cream mask”. I have used it twice now and the concept still doesn’t really make sense. You apply the cream which is very moisturizing and seeps into your skin. You are then supposed to remove excess after 10-15 minutes. I honestly don’t think I have had any excess at that point. The cream feels amazing. It makes my skin tingle slightly and it feels wonderful afterwards. I wish I could afford this one, but I am happy Glossybox sent me a decent sized sample. *Bonus: Alex and Ani Charm Bangle ($28) – How amazing is this? They sent us bonus jewelry that cost more than the Glossybox does itself! I love this bangle. Weird fact about me: I am big boned and my wrists are HUGE. I can’t wear standard size bangles because they are too small for me. I LOVE that this one is adjustable and I can wear it. What a great bonus! Wow! Glossybox costs $21 for a one month subscription (it is even cheaper if you order multiple months). This box had a value of more than quadruple the cost! That is pretty impressive. Do you want to sign up? You should! I have some promotions for you. You can use ONE of these codes to get a freebie when you sign up. I am super jealous of you new subscriber that are going to get a free Beauty Blender! Make sure you sign up this month to take advantage of these promotions. $21 for a Monthly Subscription , $60 for 3-Month Subscription and more options are available. Totally using these bonus codes! Never heard of glossy box before, but it sounds like fun to try new things! 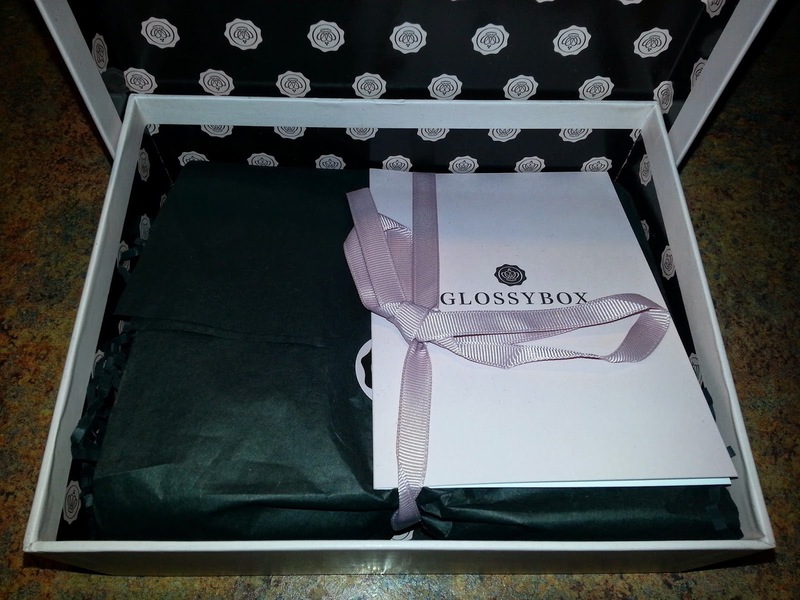 I never knew about Glossy Box. That soup sounds amazing. I'm a soap whore. I love perfumey scented gourmet soaps and candles. I'll have to look for it, and I might even try Glossy Box, especially with those promo codes. Looks like a good box. Will definitely have to check it out. Love that they included an Alex and Ani bangle - they're my favorite! I love the sound of this soap. These are always fun to get and see what is inside and a great deal, really. Thank you for posting.